We're back with another interview from the 'The Brigade That Builds Brands' series. 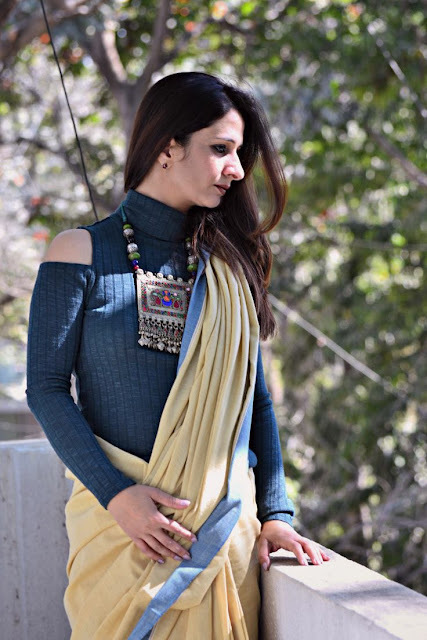 It's all about fauji wives / military spouses, who make work work for them through multiple postings, back-to-back social commitments, spotty internet connections, long stints of single parenting, community mindset regarding how military spouses should or should not work and a lot more. 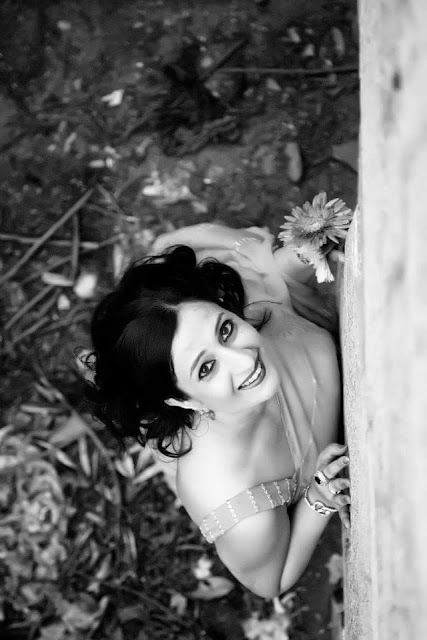 Today, I’ve invited Meghna Kohli Vachher to the blog. 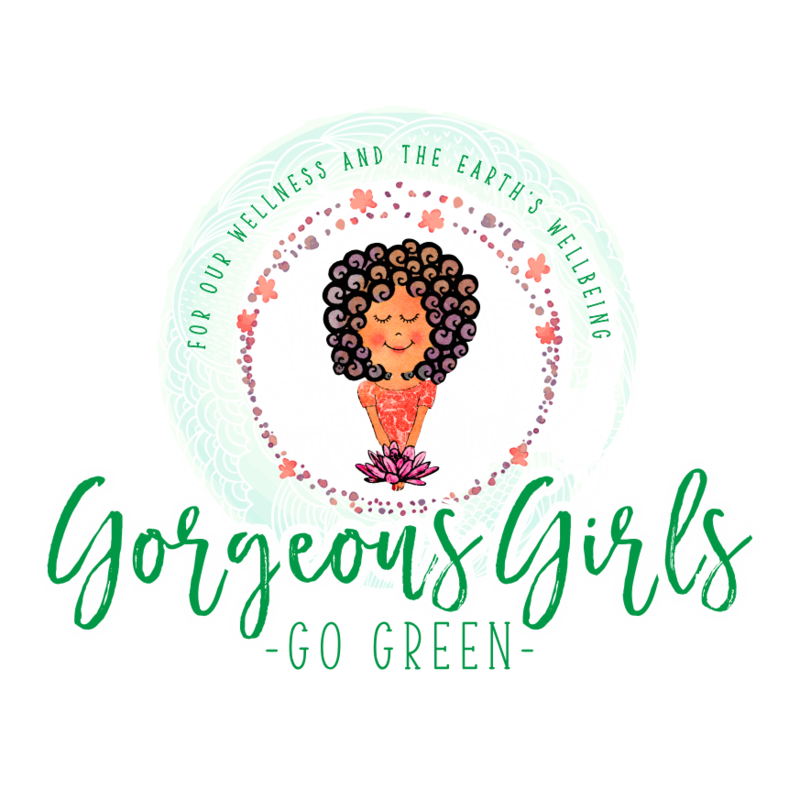 She’s a teacher-turned-content writer-turned-fashion blogger & Army wife + a member of Lush Green Wellness (an online community focusing on green wellness). Re-inventing her career options has helped Meghna find + create fulfilling work while also traveling across the country on postings. Like I’d mentioned in my ‘The work-from-home fauji wife’ blog post – sometimes zeroing down on your passions, looking at work from a different angle and doing what you can, when you can, is a mantra that serves enterprising fauji wives well in crafting a career. 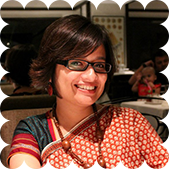 Let’s find out about Meghna’s journey - I hope many of you will be inspired to re-create your work options to craft opportunities for yourself. M. Born and brought up in a small town of Madhya Pradesh in a business class family, I finished my schooling from the prestigious Scindia Kanya Vidhyalaya. I have always been inclined towards fashion and wanted to make it big in the world of fashion as a designer. But fate definitely had some other plans for me. After completing my schooling, pursued graduation in Commerce and then masters in Business economics. I got married in my last semester to a fauji to whom I met through arranged alliance almost 2 decades back. 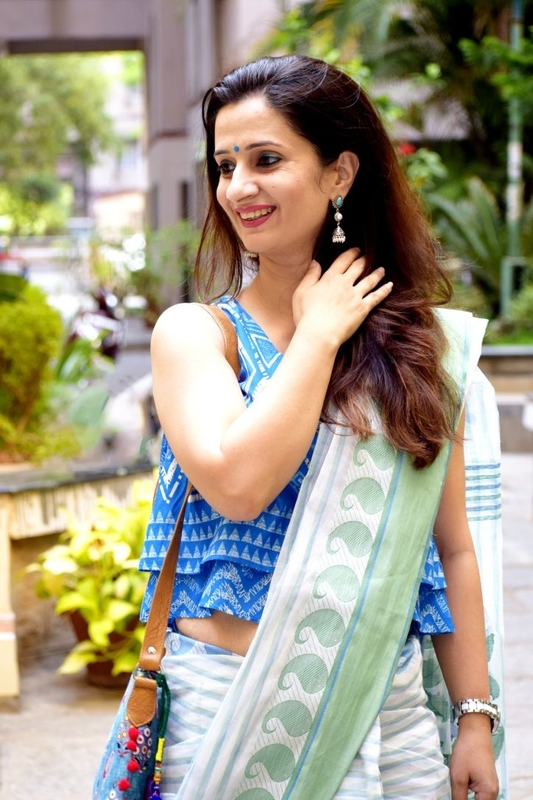 Being a fidgety soul right from childhood days, when I realized that my management degree was no use, I did my Bachelor’s in education and then started teaching, so I could travel with my husband on postings. To keep me intellectually occupied and stimulated, I taught at various stations for almost a decade and had an absolutely fulfilling experience. M. After teaching for almost a decade, I started developing cervical spondolysis, a very common problem among teachers which would have definitely aggravated if I would continue for some more time. I take pride in saying that no one can adapt themselves to the change in an environment the way we army families do. Just when I had started getting depressed about leaving my job because of health issues, another opportunity knocked at my door. It was something I had never done previously, but I was all gung-ho to give it a try. This was an opportunity to work as a content writer for a well-known blogger in the city. They were looking for a writer with a flair for fashion and I could fit into the bill to an extent. Totally new in the field of writing, I must have made a million errors in my work in the beginning but was never discouraged by my employers or friends. Gradually I learned how to swim in this creative and competitive world of writing. I became one of their prolific writers and gained immense experience after one year. As they say “The things you are passionate about is not random, they are your calling.” Little did I know that passion for fashion and experience in writing will come handy at this stage of my life. It is rightly said, for some life begins at forty and in my case it truly proved right. C. Fauji wives make their home in an assortment of obscure places across the country. Our lives are about living in the moment and doing what we can when we can. Can you share how you stayed creative or found work that satisfied you while moving across the country? M. Talking about staying creative, let me share my recent experience. Before this present station, we were posted in a quaint little valley in far north east. Had been teaching for a decade, was itching to give it a conscious break. And what better way to take a sabbatical than being in the tranquility of nature. A place from where many people would think of running, I found my passion for reading and gardening back. A beautiful valley which boasts of at least 75 flowering plants throughout the year blew my mind away. With the help of a professional gardener, I learned gardening and names of these flowering beauties. Joined many plant groups virtually to further enhance my knowledge. And a blessing in disguise, the internet connectivity was extremely bleak which helped me in concentrate on reading and gardening. I am a firm believer in God’s way of doing things. My voracious reading habits developed during that tenure certainly helped me in my content writing. I have never wriggled out of things and situations. Have always tried to squeeze out time from the same 24 hours which are available to everybody. I am a person with many interests and want to explore everything in life. Right from dressing up to socializing to shouldering my responsibilities as an army wife, have tried to give my 100% to all my endeavors. I am a self-motivated fitness freak too. M. I definitely cherish a lot of things which I have received being an entrepreneur and an army wife together. As I said, I was born and brought up in a non-defense and extremely protected background, and a lot was lacking in me. This void in me has been filled by our ever-evolving organization and it still continues to do it. M. No, I won’t say that I ever faced problems in balancing work and fauji life. Had been teaching almost major part of life and teaching gives you most comfortable timings to fulfill your professional and personal life. As a content writer on-line too, though my monthly target of submitting blogs was on the higher side, I used to be very disciplined about managing both – work and commitments. M. I absolutely agree with you. If one really wants to achieve something, there are 100 ways to do it. These days there are a number of opportunities to work on-line. However, it is up to you to decide how you want to balance your profession and your family life. Yes, I agree there are certain kinds of avenues which are available in bigger cities only, but one can definitely take a call and mutually decide about the priorities in life. In my case, I waited for the right time to grab the opportunities that came my way. I joined as a primary teacher in my son’s school when he started his schooling. Then I remained a teacher till he became independent, before starting my fashion blog. My only advice, don’t be in a hurry to grab things in life. Give everything time. Pursue hobbies and interest in smaller stations. Just remain intellectually stimulated and keep yourself occupied rather than whiling away the time. And with my personal experience, I can say that there is no age limit to live your dreams. Dream big and have the courage to chase them. Because if you don’t believe in your dreams, nobody else will do. In my case, transition of 360 degrees from a noble profession of a teacher to “not so noble” fashion blogger was not very well taken among immediate family and friends. But now when they see me doing things with conviction, they have made a peace with the truth. Take time out for yourself, at least an hour a day and indulge in what you enjoy the most. I find peace and calm while working out in the gym and chit chatting with my grown up son. You can visit Meghna's blog at In Vogue With Meghna. 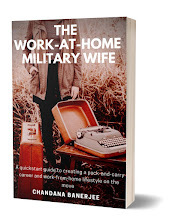 Looking for inspiration to work-from-home or set up your own venture as a fauji wife? 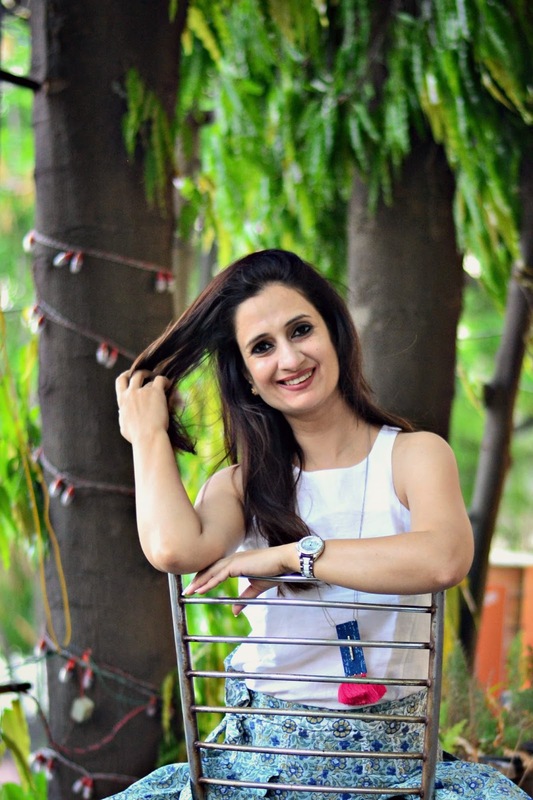 Check out our interviews of fauji wife entrepreneurs and articles on working-from-home. 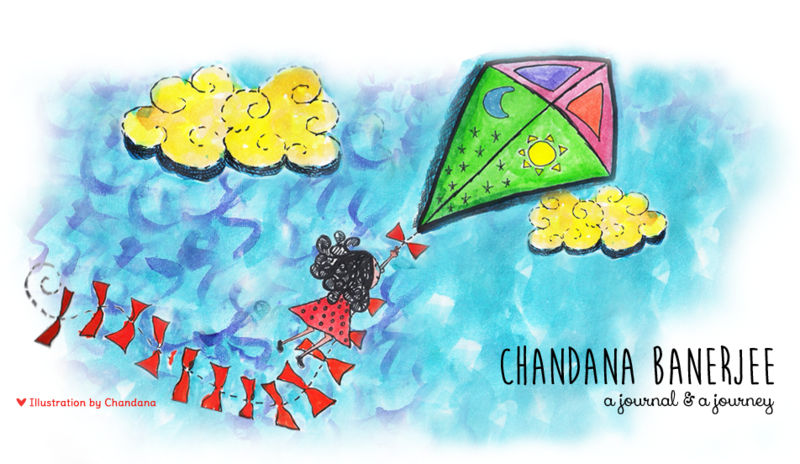 Subscribe to our blog posts to stay tuned (bonus: you’ll also receive a free book on Everyday Sari Style). Meghna is a delight. She keeps inspiring with all her endeavors!